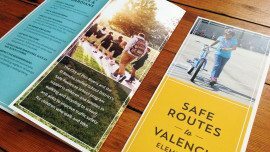 The Alameda County Safe Routes to Schools program began as a Caltrans grant funded program in 2006, serving only four schools in northern Alameda County. 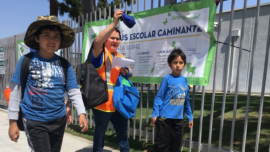 By 2019, the goal is to have SRTS programs in at least 150 Alameda County public schools, reaching 65,000 students with more than 7,000 students walking, biking, taking transit or carpooling every day. In 2006, Alta started a pilot SR2S program at two Oakland elementary schools, inspired by the hugely successful Marin County SR2S program, in which Alta has been a key partner since 2001. 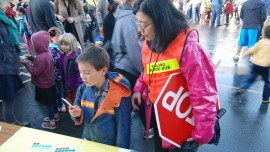 Today the Alameda County Safe Routes to Schools program has grown to over 100 schools in every city in Alameda County. 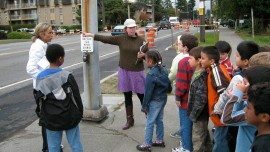 The program is designed to promote safe walking and biking to school and to reduce traffic congestion in the areas surrounding schools. The program has expanded to reach tens of thousands of students. The program currently reaches students at 130 schools in the county. Alta implements and manages all facets of the program, including coordinating program evaluation and strategic planning, web content population and communications, walk audit maps, database management, data collection, research, and development of an annual program evaluation report that analyzes mode shift, program equity, and participation.